If you are on the market for a new job, you are not alone. With roughly 7.6 million job openings across the US, people are leaving their jobs for better opportunities every single day. 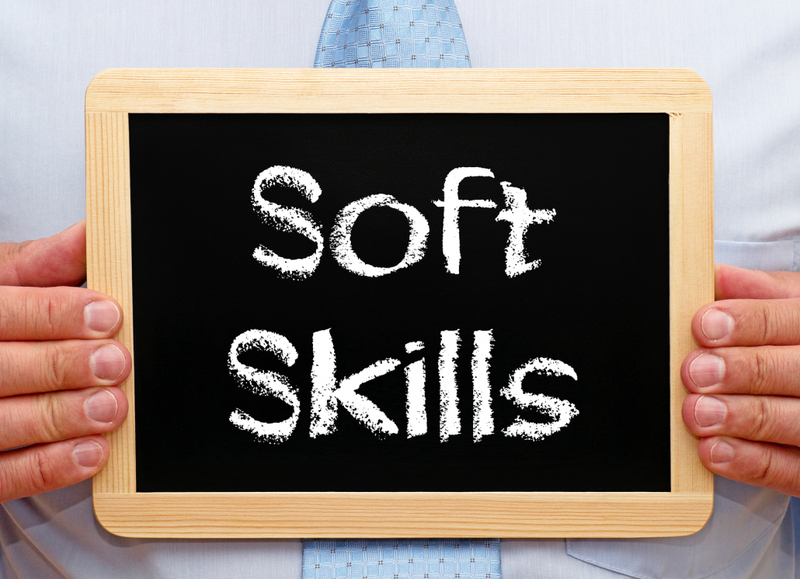 If you’ve been browsing potential new careers, there’s no doubt you’ve seen employers express interest in “soft skills.” So what are soft skills are why do employers care about them so much? Soft skills are a mixture of your social, people, and communication skills that, combined with your personality traits, allow you to understand an environment and work well with those around you. They contrast with “hard skills,” which are typically more technical in nature, specifically teachable and can be defined or measured. Think of a person’s writing ability or familiarity with a software program. Soft skills are important because of their rarity. Not everyone has the ability to think critically, the same way not everyone knows how to create websites. But it is often easier to teach someone to use a program than it is to change the way they interpret a problem. For this reason, managers are sometimes forced to pick between candidates who possess hard skills or soft skills, but not both. One person may be gifted in the technical areas of a job description but is evidently a horrible communicator. Another may lack experience in the technical disciplines, but has a track record for creative problem-solving and leadership experience. Often, the latter candidate is more attractive, as hiring either person comes with the expectation of them learning the skills they lack. Because hard skills are easier to teach, employers look to hire those who will ultimately be successful with the right training from leadership. To illustrate this point, LinkedIn’s Global Talent Trends 2019 report, 92% of talent professionals reported that soft skills are equally or more important to hire for than hard skills. How Do I Showcase Them? The hard thing about soft skills is demonstrating you possess them. Anyone can say they are a good problem solver and adaptable on their resume, but how do you prove this? The best opportunity you may get is in your cover letter. Use the cover letter to tell a story that lets these intangibles shine through your background and experiences. Give specific examples of a time or a project that was a success and connect it to a solution you devised. This strategy is the same if you find yourself in an interview. List relevant experiences and connect your soft skills to why you were successful. If you can prove you have attained these skills, most hiring managers will be thrilled to speak with you! https://jsginc.com/wp-content/uploads/2019/03/bigstock-173632283.jpg 1157 1600 Gaige Baisch https://jsginc.com/wp-content/uploads/2016/06/JSG_Logo_Tagline_Sept_2015M.png Gaige Baisch2019-03-21 11:58:132019-03-21 11:58:13What Are Soft Skills and Why Are They Important? One of the biggest challenges businesses face is finding and acquiring the right talent. Leadership is tasked with developing employees and setting the groundwork for them to contribute and be successful. Ideally, the process is successful, and that entry-level new hire develops into one of your best employees. But then one day she tells you she is leaving. Leaving for another role, with a different company, and now you not only have to replace an employee – you must replace a key piece of your organization. So why do good employees leave, and how do we get them to stay? While the job market cooled down over the month of February, the last three months have seen an average of 186,000 jobs created. With these many opportunities, employers all over the country are searching for top talent that they can plug into their own organizations. Your best employees may not be actively looking for a new job, but you are still at risk of losing them. Passive candidates are becoming quite the commodity, with recruiters leveraging online resources like LinkedIn to present them with new, often more financially-attractive positions. So how do you combat this and ensure your best employees stay? One of the simplest ways employees begin to lose faith in their employer stems from a lack of accountability. Your best employees come to work, ready to work, every day. They strive to exceed expectations and meet deadlines. They help others and actively seek out new tasks once their previous responsibilities are met. If you have someone constantly going above and beyond, one of the quickest ways to ensure they stay is to tolerate laziness from others. If your superstar constantly sees others doing much less with no consequences, where is their motivation to continue exceeding expectations? The lack of work reflects badly on their peers, but it speaks volumes about what kind of leader you are. If you ignore this, your employee will think you either don’t notice or worse, don’t care. Either will steer talent out of your office and into someone else’s. Company culture is a huge component of both why people choose to work somewhere and why they decide to stay. Often, managers have the largest hand in enforcing and promoting said culture. Bad management will have a negative effect on your company culture, which in turn has a negative effect on your employees. Employees looking to escape this often see switching jobs or employers as the only way out. But what does “bad” management look like? 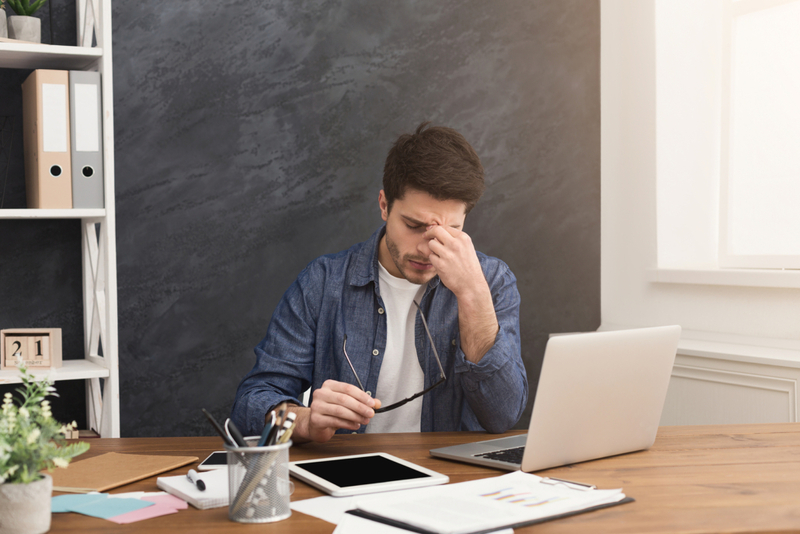 While it varies based on the expectations an employee might have, over-bearing micromanagers are the first that come to mind. People don’t like to feel controlled and distrusted, and will leave for roles with more independence. Similarly, management that is uninspiring or underachieving doesn’t create the support system that most employees need to be successful. Ensure that whatever company culture you claim is reflected in the leadership styles and actions of managers, or your employees will find an organization that does. If you are still struggling to fill the void of good employees leaving, you’re not alone. Partner with a recruiter that will help you find candidates that’ll make a lasting impact on your organization. With St. Patrick’s Day around the corner, you’ve probably started seeing lots of four-leaf clovers, leprechauns, and pots of gold. However, with this candidate-driven market, you’ll need a little more than luck to ensure you’re hiring process is effective. Instead of relying on your good ol’ lucky charm, here’s how to streamline your hiring process to find the candidates your organization needs. If you want to stop relying on luck, you have to stop dragging your feet. It’s a candidate-driven market. Do you know what that means? It means candidates have options (and lots of them!). You need to make hiring decisions quickly to ensure the candidates you’re interviewing don’t disappear into thin air. You’ve probably heard the complaints of candidates “ghosting” employers. 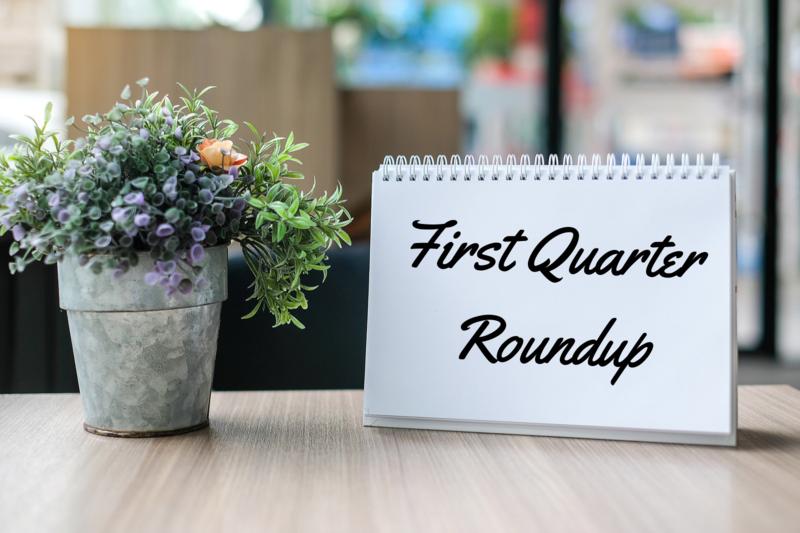 Without so much of a moment’s notice, candidates are vanishing; they aren’t calling back recruiters or HR, they’re not showing up to scheduled interviews, and even failing to show up on the first day of work. If you don’t want this to happen to your company, you need to speed up your process. Try to identify some slack in your hiring process and eliminate it. The more you streamline your process, the better your chances of finding a great candidate on the other end of the rainbow. A great candidate is like a four-leaf clover: hard to find and lucky to have. In this tight job market, you don’t have the luxury of waiting for the perfect candidate, that magical leprechaun, to show up on your desk. According to the last JOLTS Report, there are a staggering 7.3 million job openings across the country! However, there is currently only 6.5 million unemployed persons. With open jobs substantially outnumbering people available to fill them, it’s getting harder and harder for employers to find that “perfect” candidate. Instead of looking for a candidate that checks off all your boxes, look for a candidate that’s qualified, but maybe is missing a thing or two from your candidate wish list. Don’t just turn down a candidate because they don’t seem like a perfect fit. Invest some time and see if they have the potential to be a great addition to your team. They may not have all of the hard skills or years of experience you’d like, but unfortunately, in this crazy labor market, employers don’t have that luxury. If they have the soft skills needed and have a good attitude, the candidate may be a great fit for your team! 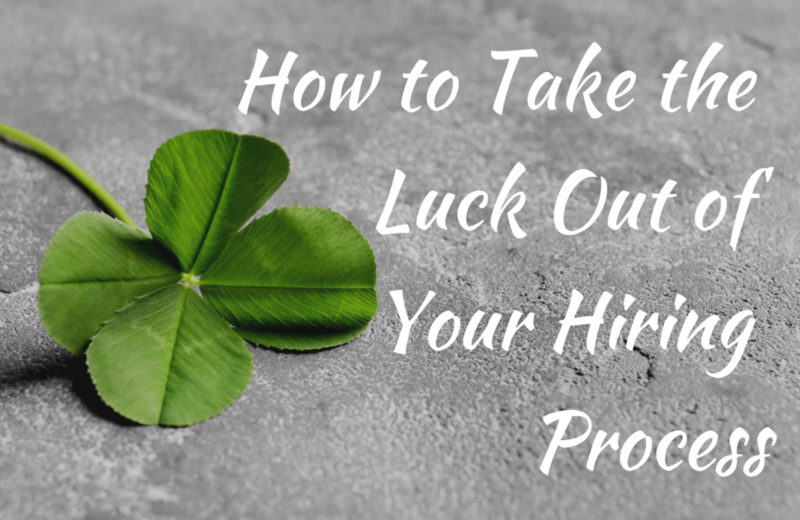 If you’re sick of relying on luck to fill your critical roles, why not team up with a professional? Working with a recruiter, like one from Johnson Service Group, will help you navigate this competitive labor market. We’ll help you streamline your hiring process and find you the candidates your team needs. Reach out to us today and lets Sham-rock and roll. Many hiring managers and HR professionals have misconceptions about working with a recruiter. A common misunderstanding is that recruiters only care about filling jobs for our clients. That’s simply not true. It’s just as important to us to find qualified candidates that will add value to your organization! Working with a recruiter takes stress off of your plate and allows you to focus on what’s truly important: your job. 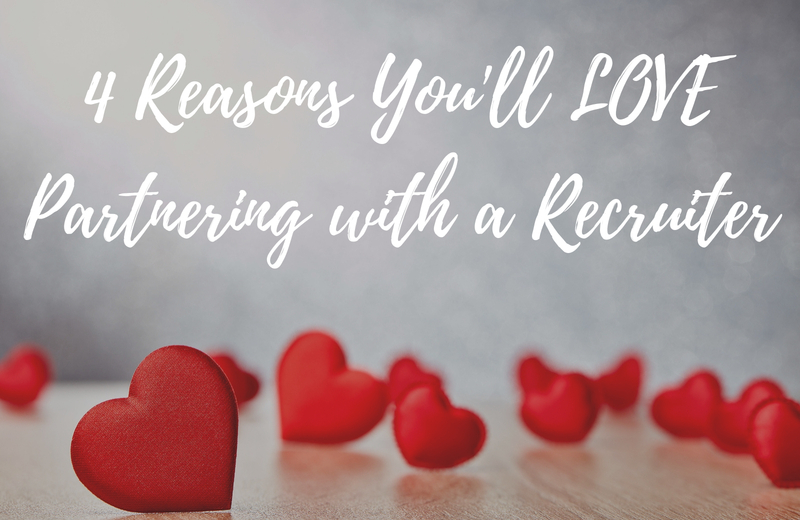 And since Valentine’s Day is right around the corner, here are four reasons why you’ll love partnering with a recruiter. Recruiters don’t just find any candidate for your open position. We work diligently to find candidates that are a perfect match for both the position and your organization. We take the time to truly understand your needs and find you candidates that will make a significant impact within your organization. And we don’t just find candidates that look good on paper. JSG takes pride in ensuring that it will be a perfect match for both you and the candidate. We get it, you’re busy. Let us take some of that stress off your plate. We know how stressful it is to find a talented candidate for your open positions AND continue all of YOUR day-to-day duties. And with 304,000 jobs created in the month of January, you are probably one of the numerous organizations that are dealing with staffing shortages. Allow us to help you find the candidates you need so you can focus on your job. Did you know the best candidates are the ones that aren’t even looking? That’s right. Passive candidates are the ones your company wants to hire. They are good at their jobs and happily employed elsewhere. And since they are not actively looking, you probably won’t find their resumes hitting your desk. However, recruiters have strong relationships with candidates that are casually open to new opportunities. We can help find you the “best of the best.” Let us work our magic and help you find those hidden gems that your team would likely never be able to locate. And finally, recruiters have experience in your industry. Yes, you heard that right. We know the Staffing & Recruiting industry well, but we know the ins and outs of your industry, too. We understand that needs, challenges, and hurdles you face. That’s why working with a recruiter is great! We won’t just send you bodies to fill jobs; we care about your needs and want to help match candidates that can fill those needs. By truly understanding your struggles and your industry, we can help find you candidates that are qualified and competent. It’s a match made in heaven. If you’re ready to fall in love with a recruiter, let’s work together today. We are midway through this year’s NFL playoffs; a few weeks away from the NFL’s February 3rd Super Bowl matchup. While we are unsure who will be playing in the big game, one player seems like a safe bet, but not because of a record-shattering offense or a standout defense. No, that player is 41 years old, in his 19th year in the league, and his name is Tom Brady. While Tom may be a four-time NFL MVP and the rest of us haven’t played organized sports since childhood, we can learn a lot about what it takes to be a leader from the example he’s been setting for nearly two decades. 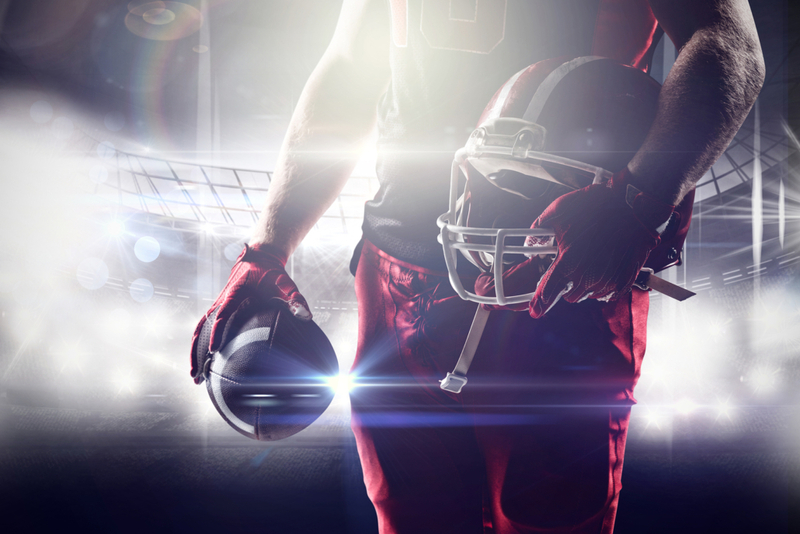 The “Super Bowl” in Brady’s life is just that, a win at football’s highest level – but what is your “Super Bowl?” For those of us with jobs that take place in offices, as opposed to the gridiron, the “Super Bowl” could be meeting projections or a large project. In whatever challenge we may face, the culminated effort of a group of people or team is often what determines whether you succeed or fail. Leaders affect outcomes. It’s what they do. Brady is no exception, and you can improve your own leadership skills by taking a page from his playbook. What holds many of us back in the realm of leadership is our own self-confidence. Often, people don’t view themselves as leaders, and because of this, are content to let others take charge. We all have a preconceived idea of how a leader looks, acts, talks, works and dresses like. If we don’t fit the charismatic mold or speak in the way we feel a leader should, many never consider the positives that they bring to the table. Out of college, Tom Brady did not fit the mold of a typical NFL quarterback. His scouting report dogged him for having a weak arm, and emphasized his lack of athleticism, citing his 5.28 40-yard dash time. Intangibles like these dropped Brady to the 199th pick in the 2000 NFL draft – an experience he’s said, that made him cry. Almost twenty years later, who would have thought that the same former 6th round pick would lead the New England Patriots into the conversation of greatest NFL franchise of all-time, and five Super Bowl rings. Whether the main tool you use at work is a computer or a football helmet, you will face challenges in your career. Sometimes, approaching deadlines can feel an awful lot like an approaching defensive lineman, closing in for a sack to end the game. Sometimes, someone on our team drops the ball, whether that be losing a sale or in Tom’s case, literally fumbling the football. Unexpected events in the workplace happen. It’s how you react to them that defines you as a leader. Next time you face an unfortunate event in the workplace, channel your inner Tom Brady under duress. Down 28-3 midway through the third quarter of the 2017 Super Bowl, it looked like Brady and his Patriots had finally met their match. The remainder of the game is a testament to the leadership of Brady, who would go on to force overtime and then a win in the greatest comeback in Super Bowl history. In recent seasons, Brady and the Patriots have battled injuries to players who were key to the Patriots success. Competing and winning with an incomplete team is a sign of a great football team. Good leaders dig deep with themselves and bring out the best in others when situations are less than ideal. In the workforce, unexpected departures are a common occurrence too. Leaders pick up the slack and encourage those around them when times are less than ideal. Often, the hardest part of leadership is taking the things that you don’t want to do and doing them anyway. Things like working weekends, coming in early and leaving late are never popular. You will be far more respected for making these sacrifices, as opposed to forcing them on someone else. It will show that you hold yourself responsible for both the successes and failures of whatever organization you are leading. You allow those under you to learn this responsibility so that when they are leading, they remember the example you’ve set. Tom Brady exemplifies this most notably through his bank account. At this point in his career, Brady is often regarded as the greatest to ever put on an NFL uniform. Over his career, he has never been the highest paid player in the NFL. And his 2018 salary isn’t in the top half of the entire league. But this is how Brady wins championships in a league that caps the salaries of players. Tom has regularly sacrificed his own salary, so the Patriots have more money to spend on other players. As we begin our journey into 2019, it is important to remember that with a new year come new challenges. 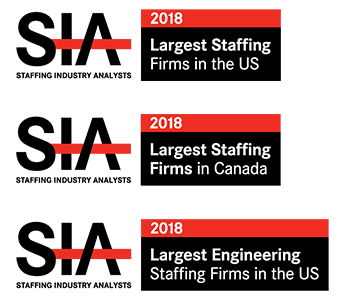 In the world of hiring, staying on top of these new hiring trends is imperative for your organization to remain competitive in your industry. Regardless of trade, businesses will always need new people. You, of course, want to attract and hire the most talented and best fitting employees. But how do we gain an edge in such a candidate-driven job market? As mentioned above, the job market capped off a strong run in 2018 by adding 312,000 jobs in December, with wages posting its highest annual gain since 2008. With so many opportunities available, both active and passive candidates have a wealth of options when looking to switch careers. 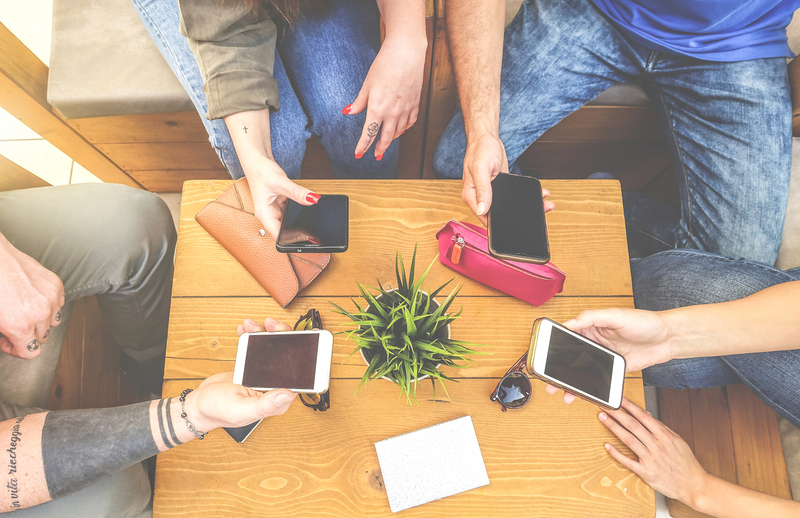 Tools like LinkedIn make these options much more visible and allows for quick and easy connections between you and prospective employees. In order to gain an edge and stand out from competitors, you must act quick! Speeding up your hiring process allows you to stand out if the candidate is receiving multiple job offers. Review the current hiring process in place and remove any unnecessary steps that could lengthen the process. Branching off our last point, the purpose of the hiring process (resumes, interviews, etc.) is to find and place the best candidate available. Many organizations use the same process when hiring a position, regardless of what the position entails. While structure and consistency is a key value of almost any business, it doesn’t always provide the most beneficial means of getting to know a candidate. The key skills demanded of a graphic designer and an HR manager have night and day differences. While these differences may be reflected in the job description, the interviews themselves should stress the specific traits the position requires. “What is your biggest failure?” and “Where do you see yourself in ten years?” are decent ways to gauge a person. However, we need those nitty-gritty details that will determine if a candidate is a right (and a smart) hire. For this example, it would be more efficient to ask our design candidate a question like, “How do you get unstuck creatively?” When reviewing potential HR managers, questions about creativity may provide some insight into their problem-solving ability. But in reality, it would be more beneficial to present them with a more general problem-solving test. Sometimes, your best option is asking for someone’s help. Third-party recruiting firms, like Johnson Service Group, take the leg-work out of the hiring process. If some of the suggestions listed above sound too time-consuming, leaning on executive recruiters may be your best option. Partnering ensures your company will be interviewing are qualified; vetted candidates that are wanting to work for you! Finding and vetting candidates is often the most time-consuming part of the hiring process. Plus, it does not always translate into a successful hire. Working with an industry leader like JSG ensures the person you are interviewing is already sold on components like salary and location, is equipped with the necessary skills, and will be a good fit for your company’s culture. A new year is always an opportunity for a fresh start. Whether that’s kicking a bad habit, starting a new one, or even finding a new career that you’re passionate about, the New Year is a great time for a new beginning. But developing these new habits and changing your daily routines can be challenging. Unfortunately, it’s not as easy as setting a New Year’s resolution and watching the magic happen. You have to work for that change. And here’s how you can start the New Year off the right way. For some people, setting goals is easy. For others, it can be difficult to sit down and figure out what you want to accomplish. However, whether your goal is big or small, your goals you set must be S.M.A.R.T. You may have heard of these, but a S.M.A.R.T. goal is one that is Specific, Measurable, Attainable, Relevant, and Time-Bound. Essentially, you must set specific goals that you can measure. Whether that’s losing 15 pounds or making 60 more sales calls per week, your goals must be measurable, so you can track your progress. You also need to set goals that are actually attainable and meaningful or they won’t be accomplished. To successfully accomplish your goals for the New Year, you must set timelines to your goals. You can’t just say I want to make 60 more calls per week; you have to set a timetable to help keep yourself accountable. So instead of saying you want to 60 more calls each week next year, you can, for example, give yourself a 3-month timeline to accomplish this goal. That allows you to break down your goal. So, for this example, you can increase your monthly phone volume by 20 calls per month to gradually reach that 60-phone call mark by the end of March. This will all you to track your progress and hold yourself accountable throughout the New Year. Have you heard of Mel Robin’s 5-Second Rule? If you haven’t, this tool is a great resource to help train your brain to stop overthinking. Instead of dwelling on something that makes you feel uncomfortable and talking yourself out of action, the 5-Second Rule helps you think less and do more. Whether it’s having that difficult conversation with your boss about a raise or making one more sale call to land that deal, this tool will help you from talking yourself out of action. Unfortunately, we are often our own worst enemies and our biggest roadblocks. In just five seconds, we can come up with a million excuses to talk ourselves out of anything. While 5 seconds may not seem like much, it can be the difference between you reaching your goals. You may already have a mentor or someone you’re close with that you can rely on to keep you on track. But if you don’t, I highly recommend finding someone you can turn to when things get tough. Whether it’s your boss, a colleague, or a family member, it’s beneficial to have someone you can rely on for advice and encouragement. And do you know what’s the best part about having a mentor in your life? Having someone who will hold you accountable and keep you on track. It can be hard to hold ourselves accountable for our goals. However, a mentor will keep you focused on your goals and be there when it gets tough. Hopefully, this helps you set yourself up for success for next year. If you follow these simple steps, you’ll be able to set yourself up for success next year and accomplish more than you ever thought you could. Happy New Year!